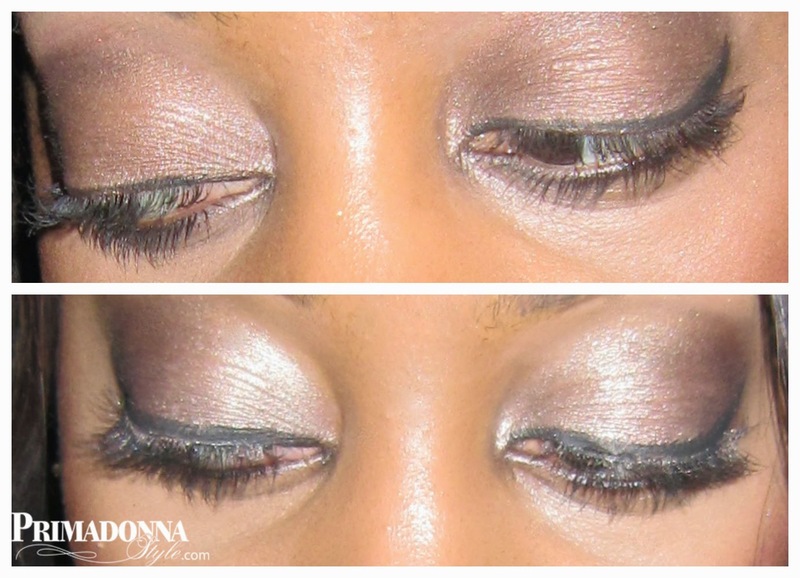 Primadonna Style: Primadonna's Lush Lashes Budget Beauty Secret! 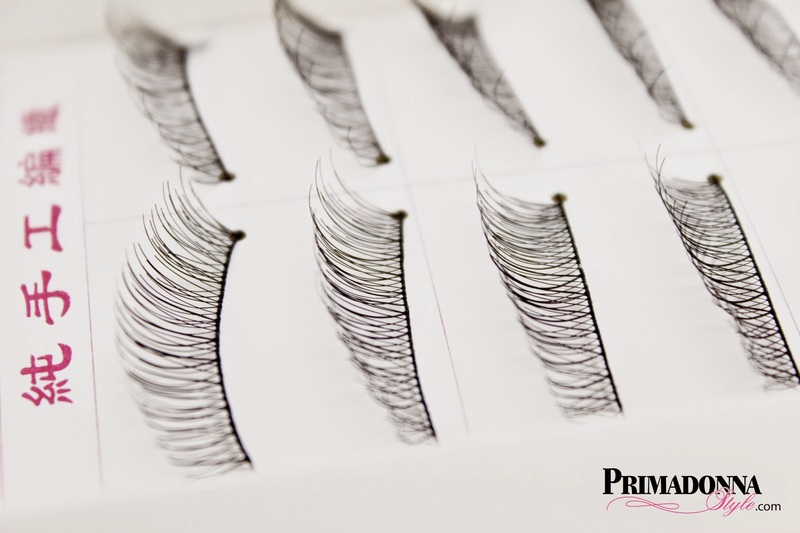 Primadonna's Lush Lashes Budget Beauty Secret! Then there are the countless gorgeous gurus on YouTube who look amazing in their lashes, but when you click those lash links in the information box you find that if they aren't being sponsored, then they are spending $25 and up ON ONE PAIR of lashes! These ladies have perfected methods of soaking and picking glue particles out of those expensive lashes because at those prices you absolutely have to reuse them! Honestly lovelies, that just doesn't work for me. I simply don't have the patience to soak lashes and pick out glue, and certainly don't plan on spending $25 and up on one pair of lashes; I don't care if it's remy, mink, or whatever platinum premium type of hair it is. Not happening. Now I know you can run to your nearest beauty supply store and grab a decent pair of lashes for a special occasion for around $2-$3, I also know that the Kiss lashes that you can find at your local Walgreens are great as well, but I want to share an even more cost effective solution for those who may want to wear lashes a bit more frequently. One word: EBAY. I started out going to eBay a while back looking to order eyelashes in bulk. Because I photograph and sometimes film for Primadonna Style several times a week, I wanted to have a decent supply of lashes handy. 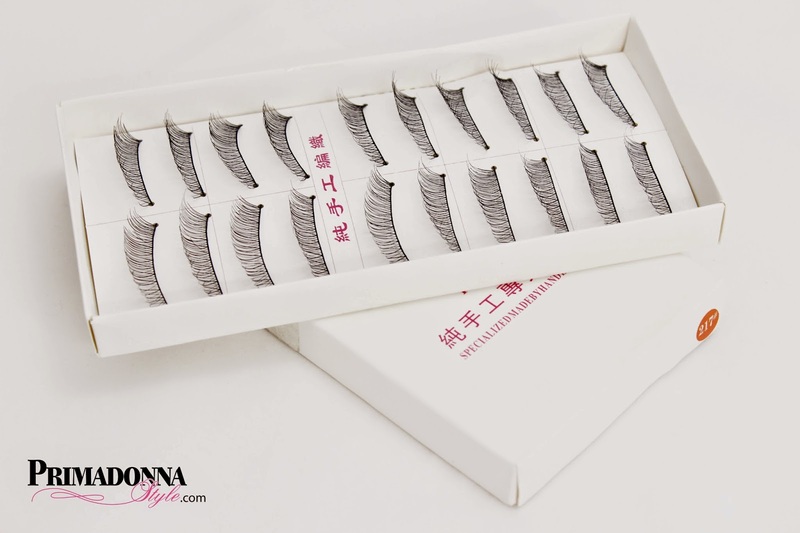 I noticed that many of the international sellers from China, Hong Kong, and Taiwan were selling lots of lashes at good prices. You could get 10 pairs with free shipping as low as $1.49! 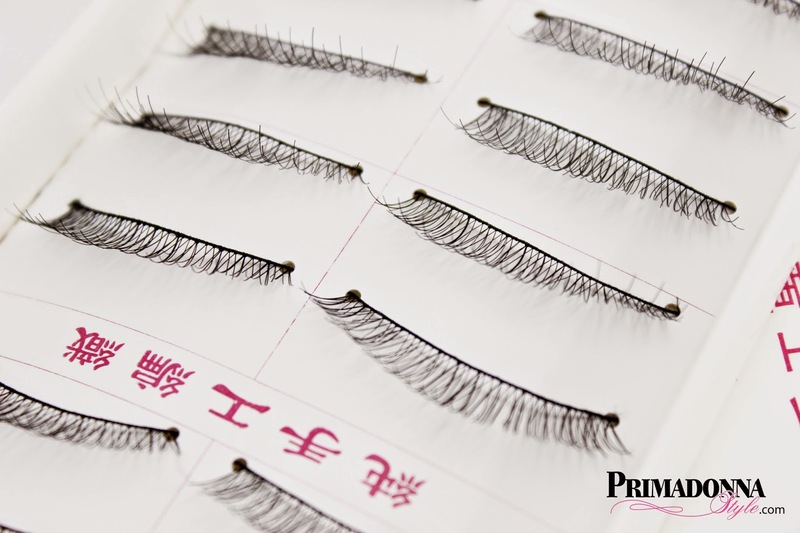 Initially, I was excited by the prices, but closer inspection of some of the pictures made me think that I would definitely be heading towards those cardinal eyelash sins with the looks of some of these lashes. The quality looked suspect in many of the example pictures. After perusing eBay a bit more, I decided because it was such a low cost risk, I'd try a few and see how it worked out. The #217 lashes are subtle, perfect for an every day look, and conform to my eye shape easily. They give me additional volume and length without looking unnatural. I have pretty large eyes, so they work well for me right out the box, but they also can be trimmed easily based on the look you are going for. 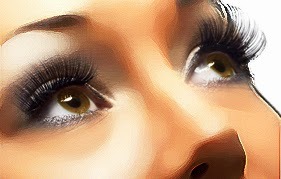 I think they are a cost effective solution for those who like wearing lashes often. 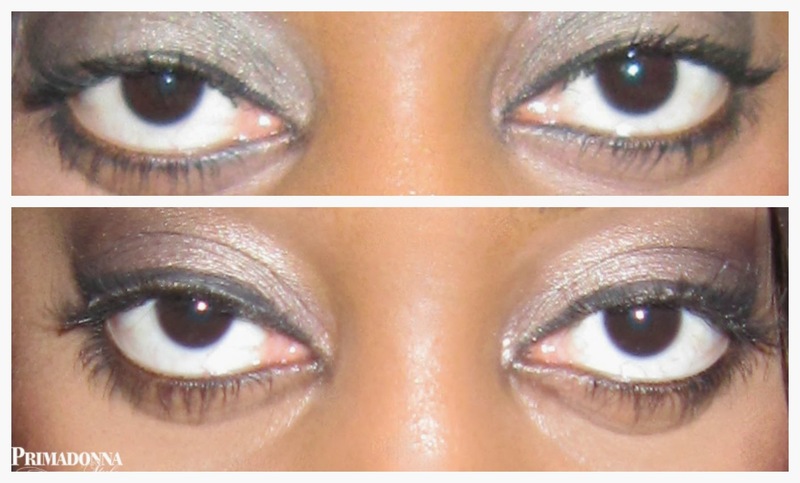 Click here to go to where I purchase my #217 Eyelashes. The lashes take around three weeks to arrive, so I usually order two or three packages at a time. That's less that three bucks for thirty pairs of lashes. You can seriously stock up on a years supply of these babies for what some girls pay for one pair. I use Duo eyelash glue in dark to apply the lashes, and pure organic coconut oil to remove them. 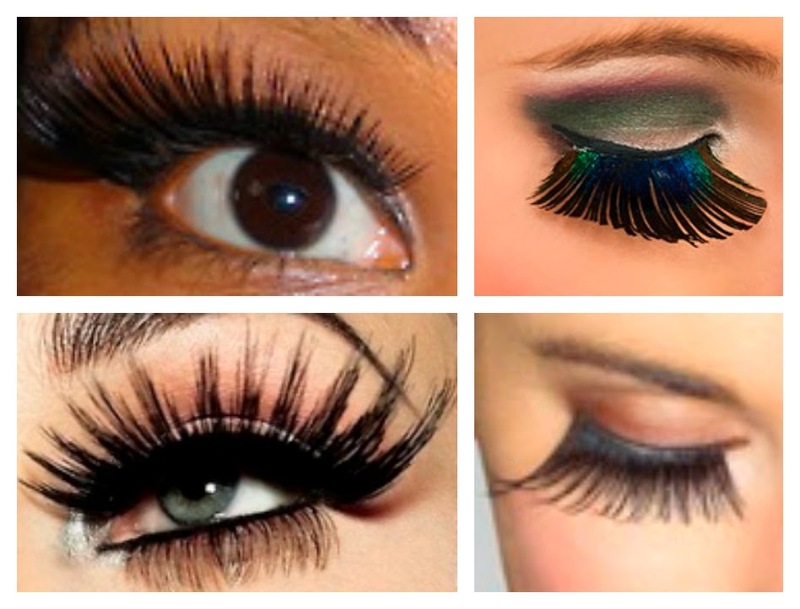 Share your favorite eyelash brands and beauty secrets below. Site Graphics by Vernell Art & Design.